NEW YORK, Jan. 24, 2011 — TOUS joins forces with Manolo Blahnik to showcase the mythical “Campari” shoe, one of the Spanish designer’s most emblematic models, as jewelry. Designed in 1994, the Campari has been deemed iconic thanks to numerous films and television series. Manolo Blahnik for TOUS will be launched this March in 300 TOUS boutiques world-wide, starting in Mexico and then Rockefeller Center in Manhattan. Later, Manolo Blahnik boutiques and luxury stores internationally will carry Manolo’s first gem for TOUS. 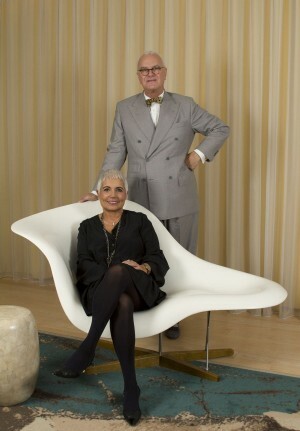 Manolo Blahnik met Rosa Tous at a luncheon in Madrid last summer. He commented on her elegance and the charming teddy bear pendant she was wearing. She said she would love for him to design a piece for TOUS. The two put their heads together and Manolo said, “Let’s do my famous mary jane shoe ‘Campari,’ as a charm!” Rosa said, “I love it! Let’s do it dangling from a gold chain with a diamond button!” And so began Manolo Blahnik for TOUS.